So your campus card program is now a couple of years old and you have forgotten the trauma of installation and are being pushed to expand onward and upward. Where do you start? What do you do to ensure the success of your expansion? First of all you need to research campus trends – both generally and on your campus. This will help to guide your program in the direction of need. As of the latest survey, 44% of students are over 25 years old, 43% are part time students, 80% average 25 hours of work a week, and only 16% are traditional full-time 18-22 years of age. You need to remember also that students are more savvy consumers than before and they want more from their college experience – such as convenience, quality and service. Students also want to live, eat and socialize on campus again. So how do you use this information to build your program? You will always have the traditional students who you have sold your services to so successfully, but look at the number of students who you are not reaching because you have basically only tuned into the needs of the easiest to sell – those living in a residence hall, with meal plans and a limited debit card program for on-campus use. Take a look at how you could better serve the needs of the staff and faculty too – they are as much a captive audience as those living in the residence halls. These non-traditionally served people can make a real difference in the success of your program. It will take more time and energy and some creative thinking, but will ensure the success of your expansion program. One thing to remember is – do it right, or don’t do it at all! If you do not do your homework and plan well, you are just throwing away money – and a lot of money! Some basic goals to remember as you plan your expansion – they are the same goals you should have had when you planned your original install and it is time to get them out again and take a good look – are they still valid? 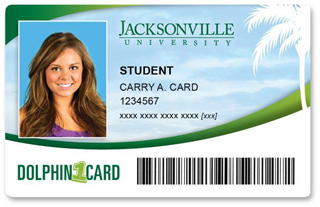 Successful campus card programs require a central point of contact, dedicated space, dedicated personnel, good customer service, responsiveness, buy-in from the top, good card stock, and an involved user group. What do you need to do to build your case and get the resources you need to expand the program? Build your case carefully and I don’t mean just your business case. The administration needs to see the value of the expanded program and it is up to you to build the value. Go out and talk to focus groups of students, staff and faculty, you will be surprised at some of the wants, needs, desires and ideas they can give you – this will help to design the growth of the program and you can say the ideas came from your constituency and THAT is a powerful message. Keep good notes and develop charts and direct quotes and statements of need. Another thing to do is to research other schools – and this is easy to do with your memberships in associations such as NACCU and NACAS and the willingness of all to share their experiences. Talk to people, document how they have approached the expansion and let the information simmer in your mind for a while. Then develop a business case, a business plan and a marketing plan. How do you develop a business case? Think of the campus card program as with a 5-10 year project life. After that, you will need to reassess the campus growth and needs and possibly replace your new software and readers, even looking at a new provider. Plan your growth steps carefully – what can you actually handle with your other duties and your current staff – or any expanded staff you have included in your business plan. Stress is not good! Identify any additional revenue needs and identify any additional revenue opportunities. Provide the demographic information you have collected. Make a part of your case the fact that the monies generated by this growth need to come back to the card program to fund the expansion and the management of the program – the more you expand the program, the more time and energy it will take to manage. Also, see if you can get the interest generated on the deposited debit funds to come back to your program. I know that where you are and whether or not you are a state or private school can dictate and hinder the addition of these funds to your cause. Think about how you can put the onus of funding back on the departments who use the program – you are helping them operate more efficiently and offer more to their users, why should it not be a part of their expenses? If you are part of Auxiliary Services and they are in charge of the vending, dining and other service contracts which will use the campus card program, see if you can get the person in charge to look at these and see if they can re-do the contracts with these vendors and have them provide the readers, and maintenance of the readers. Some of these vendors when faced with additional revenues from increased use may add extras such as marketing money to promote the program and graphics and marketing help. Most of these vendors have extensive experience on many other campuses and have seen the results of expanded systems and are more than happy to help. If you already have contracts with your on-campus vendors, take another look – maybe they are paying too little for what they are getting. This is always a touchy issue since you depend on them for the expansion of the system. A successful system is dependent on the number of uses and you surely don’t want to discourage them from using the system or expanding their use of the system. Then consider charging a transaction fee if you are not already doing this. You can look at a student usage fee per semester – your student government may support this idea, if you can prove it would help expand services to students. I know of a campus where they are now charging a $3 fee per semester and the students can see the benefits of the expanded program. You can look at charging a fee to administer the debit accounts – usually a per semester or yearly fee. You can also charge to close debit accounts when the student leaves either the school or the program. Make sure all in the college community are required to have the card on campus – it should be mandatory. You goal should be to have 100% of the college community with the card. Add departmental charge cards to the equation – see if you can replace many part forms and the data entry involved by including an electronic ability to do the journal entries. Add more functionality to the card – camps and conferences, athletics, vending, and voting. Offer a new long distance phone service to those not in the residence halls, look at adding an off-campus merchant program, or turn your card into an ATM/debit bank card. Look at currently provided services – where can you economize – what needs to be changed. Re-think the ways to provide services. And in looking at all of these parts of the business case – look at ways to protect your campus services – the campus cannot afford to lose these. There will be a five-year gain in revenues – you can use the following figures for the beginning of your research, but you should talk to like schools to find out what the figures are realistically for your programs. Flexible spending can increase 15-50%. Adding an on-line card office where the students and parents can deposit funds electronically rather than coming to your office will add 5-25%. New sales can add 5-15% and direct marketing can add 5-15%. If you have a base of $5,000,000 you will have an increase of $1,500,000 over five years. Also look at the decrease in expenditures for annual savings – such as less cash handling – 3.5-5%, on-line deposits can decrease the need of personnel by a half to a full FTE. You may realize an average savings of $60,000 to $100,000 a year. Recognize that there will be some revenue positive and some revenue negative phases/years in the program – these need to be included in the business case. Positive will include new debit card functions and bringing the currently underserved into the program. Negative will include access control and student services such as voting and library. Other revenue-positive phases will include unrelated income opportunities and creative uses of the card. Employ an on-campus user group – they can help identify unmet needs and they can ease the new programs onto campus, add positive spin on the expanded program, expand their use of the program and help to educate the public. Think creatively and find uses for campus departments who are not currently employing the benefits your system can offer them. Develop a good and deployable marketing plan. Add employee payroll deduction and direct deposit of student paychecks. Add new revenue sources. You can make it happen – have a good business plan, a good marketing plan, lots of perseverance and a belief in the services you can provide. Remember you CAN make a difference – sometimes you may have to do it one step at a time, but you will get there. If you feel overwhelmed by the process and have been given the directive to expand the program, remember there are trained professionals out there to help you. You don’t have to do it alone. Campus Card program services from the beginning of looking at providing a card system for the campus through RFP writing and evaluating, business plan, project management, card office manuals and marketing manuals, policies and procedures customizing, and customized marketing plans. White will also come to the campus which has had a card system for several years and evaluate the program and assist in designing the expansion of the system and list changes needed to ensure a successful growth of the expansion. White developed the University of Florida Gator 1 Card program from scratch to a 60,000 active card base, was first Executive Director of NACCU for 3 years and has had her own consulting business for 4 years. While at UF and with NACCU, White informally consulted with schools looking to implement a card program or expand an existing one.